A delicious breakfast or a light supper. 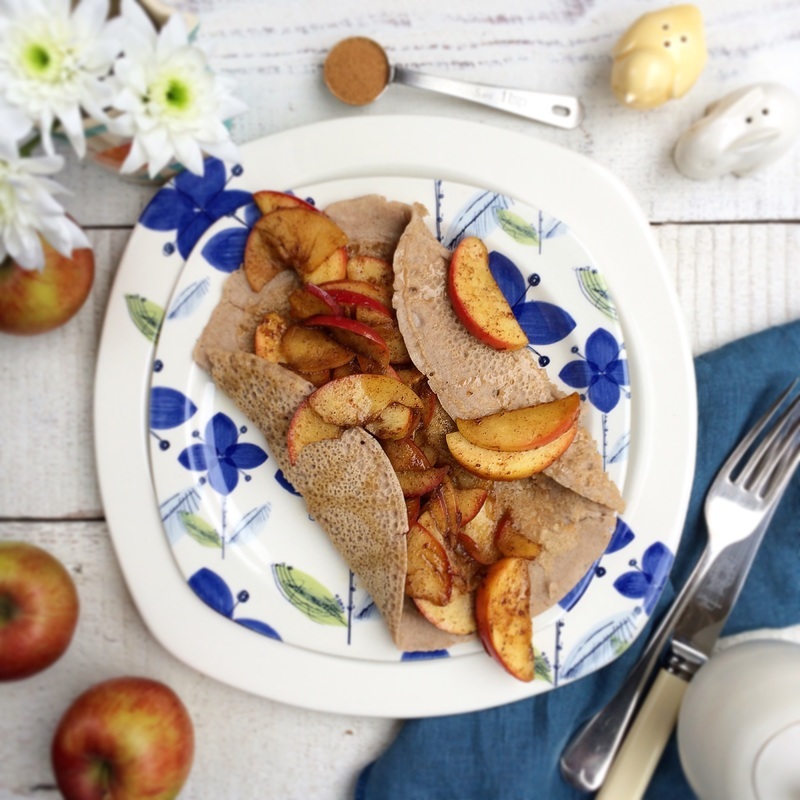 A buckwheat galette with comfortingly warm soft cinnamon apples tastes so indulgently delicious we'd eat it for every meal! 1 tsp. of coconut oil, extra for greasing pans. Mix all the ingredients together in the food processor for 2 minutes until completely combined. Wipe the frying pan with coconut oil, put on a high heat, once hot reduce to medium temperature. Ladle mix into frying pan, spread so evenly covers the base of the pan. Cook for 2 minutes until small bubbles start to appear on the surface, then flip (we like to use a spatula for this) and cook for a further 2 minutes. 4 medium apples, quarter, core and thinly sliced. Gently melt 1 tsp. of coconut oil in another frying pan or a heavy based pan. Add 2 tsp. 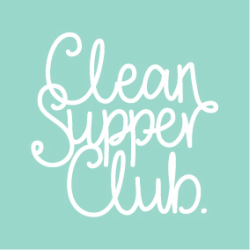 of coconut palm sugar & 1 tsp. of cinnamon powder. Stir until the sugar dissolves. Add the apple slices and cook on a medium heat until they are soft, stir occasionally so they don’t stick together. Tip Galette onto a plate; fill the centre with apple mix fold & serve. We like to drizzle a little grade A maple syrup over the top. Storage – Galette batter can be stored in a sealed container in the fridge for 24 hours.